Digital LA - Golden Reels Awards: Apes, Dunkirk, Coco win top awards. 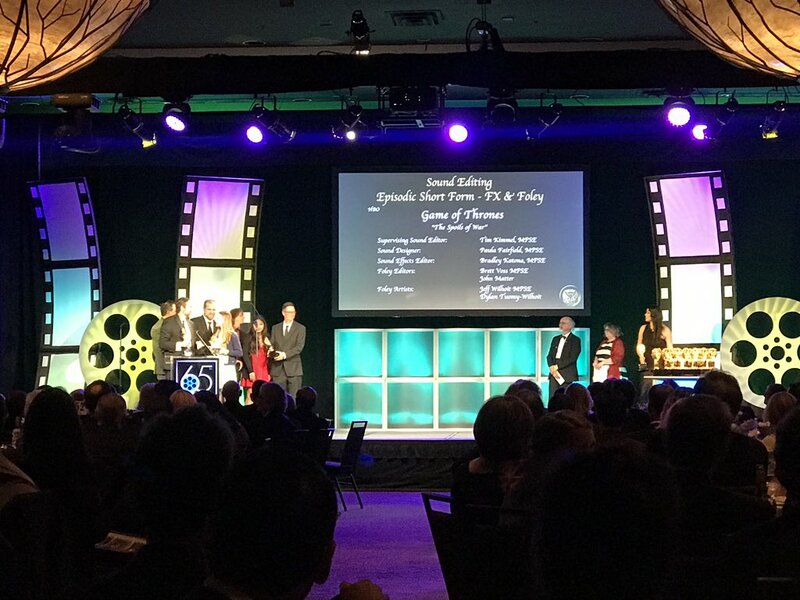 DOWNTOWN LA – War of the Planet of the Apes, Dunkirk, and Coco won big at the Motion Picture Sound Editors’ Golden Reel awards at the Westin Bonaventure in Downtown LA on Feb 19. 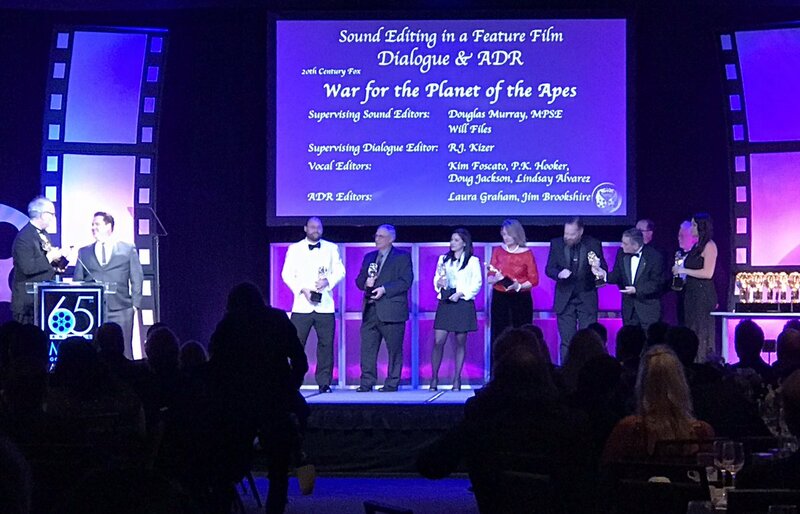 War for the Planet of the Apes wins Sound Editing in a Feature Film – Dialogue and ADR. 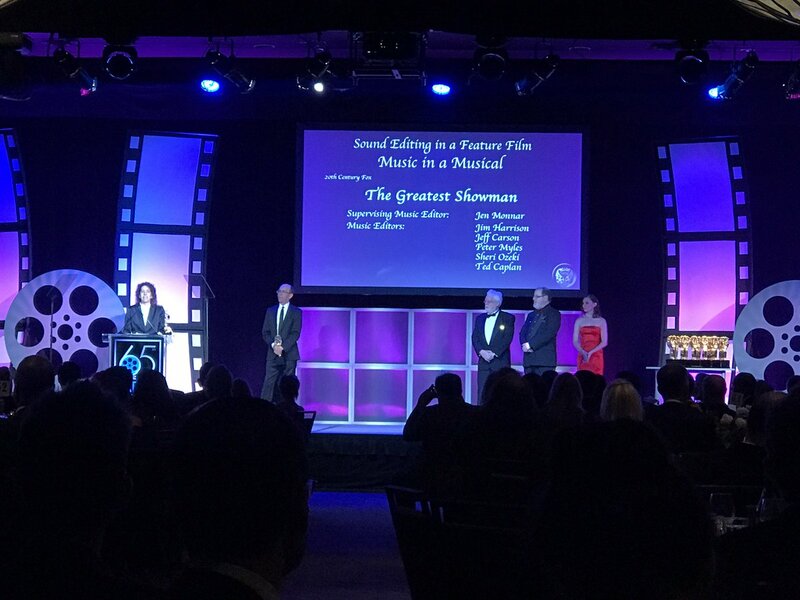 The Greatest Showman wins Sound Editing in a Feature Film – Music in a Musical. 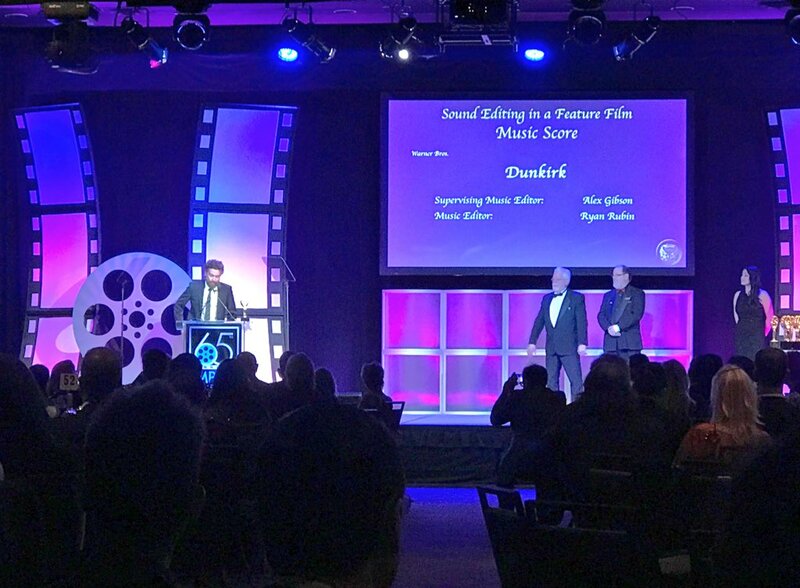 Dunkirk wins Sound Editing in a Feature Film – Music Score. Game of Thrones – Spoils of War wins Sound Editing – Short Form – Dialogue and ADR – FX and Foley. Blizzard’s Overwatch “Honor and Glory” short won Sound Editing, animation short form. Coco won Sound Editing in a Feature Animation. Lego DC Super Hero Girls “Brain Drain” movie won non-theatrical animation long-form. For complete list of winners, visit the MPSE site.